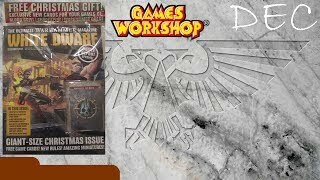 For 30 years, the grim darkness of the far future has captivated gamers, painters, modellers and others around the world â and so this issue we celebrate 30 Years of Warhammer 40,000! 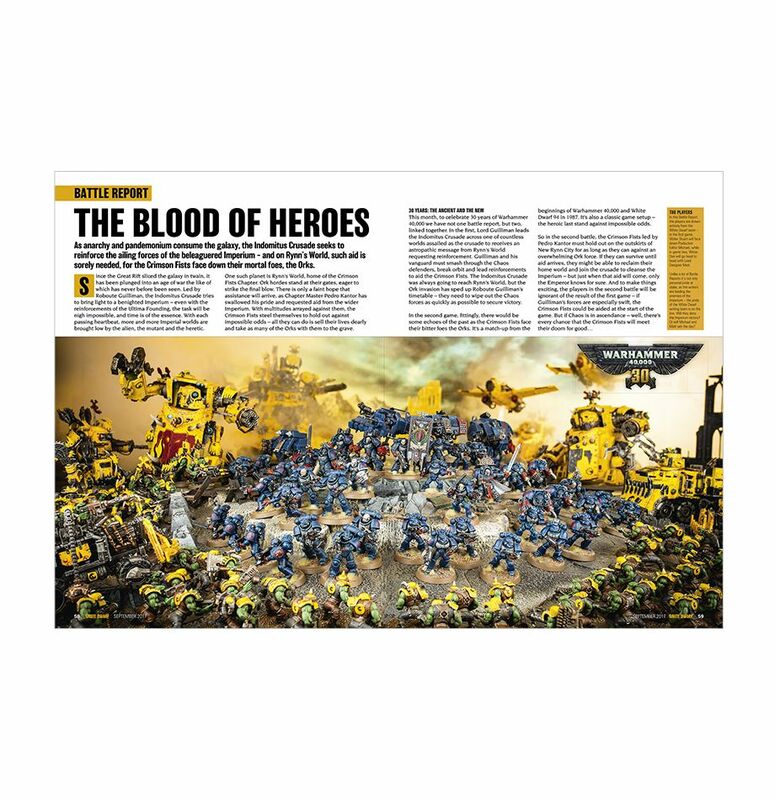 We mark the occasion with a very special issue, presented in a deluxe cardboard sleeve and including a very special, exclusive free gift â a poster, marking Warhammer 40,000's 30th annviersary, with a special nod to its illustrious beginnings. 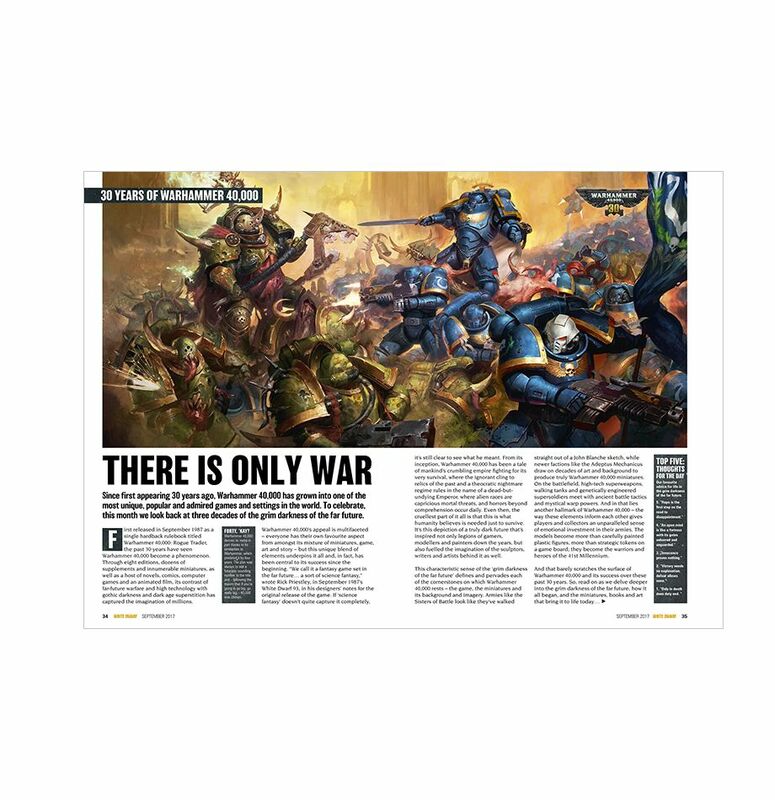 Inside the magazine, we look back over the past 30 years, and just what a triumph Warhammer 40,000 has become in the meantime. 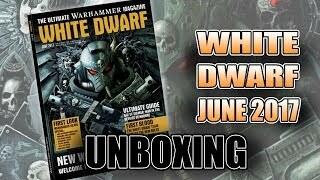 The team pick out some of their favourite aspects of the behemoth that is Warhammer 40,000, we bring you a special anniversary battle report, we've got a Paint Splatter for the anniversary miniature also released this month and much, much more. Submitted by Miniset on 29 August, 2017 - 15:40 (286592). Ahoy everyone! 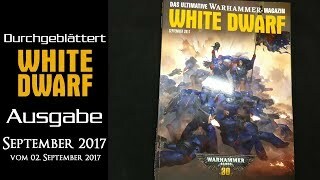 I'm back with a look at the latest issue of White Dwarf, September 2017. 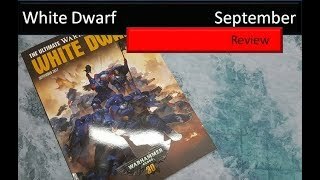 It's Warhammer 40,000's 30th anniversary and this is a packed one with some great content. Remember to hit the like and sub buttons, would mean a lot! 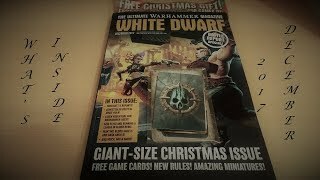 White Dwarf December 2017 - Free Cards and New Rules! Ahoy everyone! 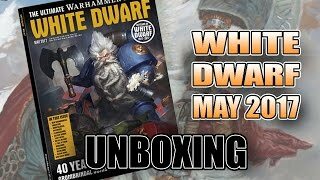 It's the new white Dwarf and I'm actually uploading the video on time this month! 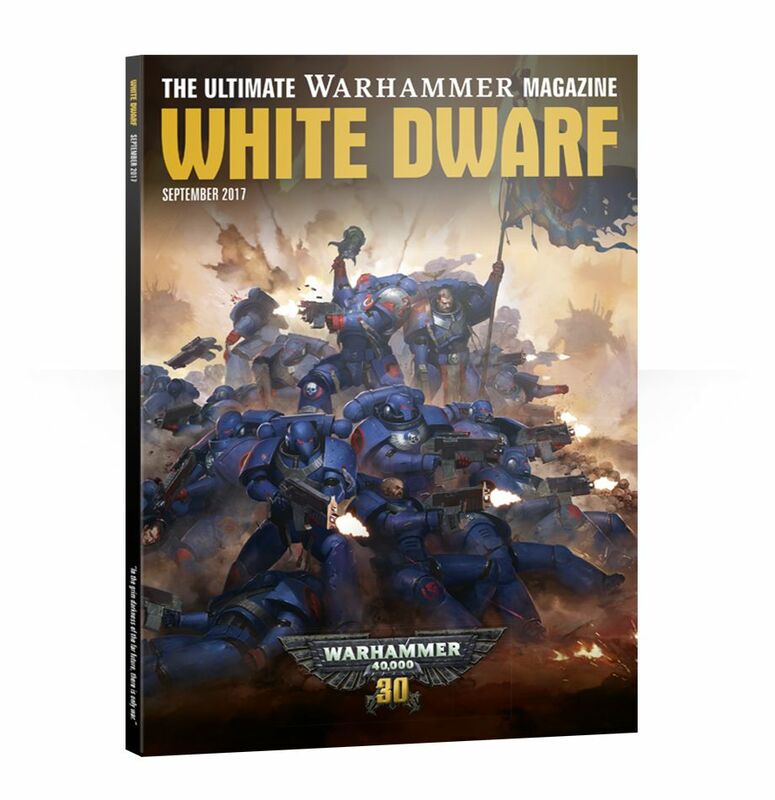 Come see the latest on the 40th Anniversary celebration in May's White Dwarf. 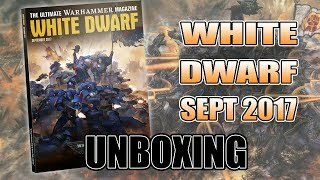 Plus a few teasers on 8th Edition 40k! Please support us on Patreon to get early access to all the battle reports and more! Ahoy everyone! So I filmed this slightly late in the month of August, and by the time I'd uploaded it September's issue had arrived, and then I forgot I hadn't posted it, oops! So, it's all old news now, but for the completist in me here it is! 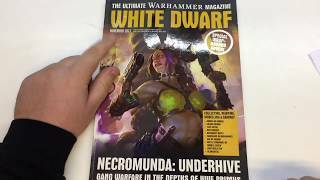 Checkout the fat new issue of White Dwarf complete with TWO posters & chock full of retro & hobby goodness! 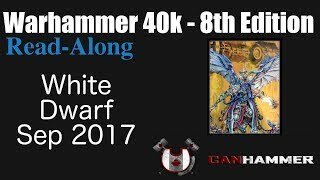 Welcome everyone to this episode of Read-Along, featuring the Sep 2017 edition of White Dwarf, which celebrates 30 years of Warhammer 40k! 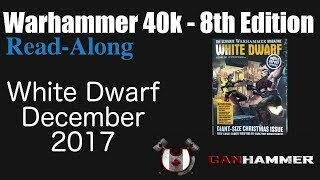 Come see the companion issue of White Dwarf that pairs perfectly with the new 8th Edition 40k! Hey everyone, welcome to the Read-Along for this massive Christmas edition of WD! It's WAAAAY too packed with goodness to cover everything, so grab your own copy and take your time and enjoy! 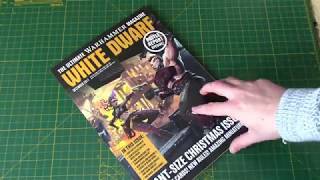 Hello, this is Warhammer Workshop and here is my unboxing and review of Games Workshop's Christmas White Dwarf 2017 December issue. 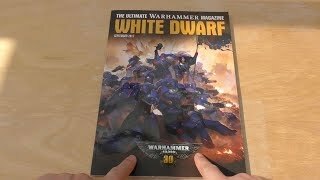 My first look at the Warhammer 40K 30th Anniversary White Dwarf magazine September issue. 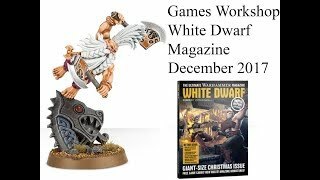 Welcome to this december white dwarf review for warhammer 40k, age of sigmar necromunda, blood bowl and more! Ahoy! 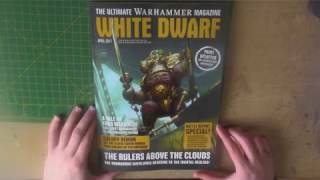 White Dwarf just arrived through my door and it's an amazing issue. It's packed with new missions and scenarios for loads of games. 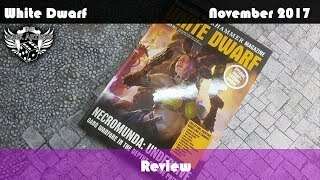 Necromunda, Shadespire, Warhammer Quest, and so much more. 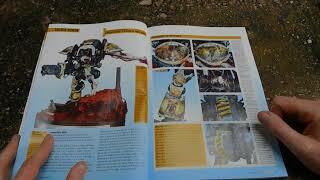 There's four battle reports, a shed load of hobby, and some amazing Golden Demon entries!